Just Add Ink #95..."Bah Humbug"
Well that week just flew by and it's time for another Just Add Ink Challenge, This week we are Challenging you to use your "Creative Minds" and design a project for Christmas.....Ahh...easy l hear you say, but we have thrown in a twist........Create using "NON-TRADITIONAL" Christmas stamps or Designer Papers! 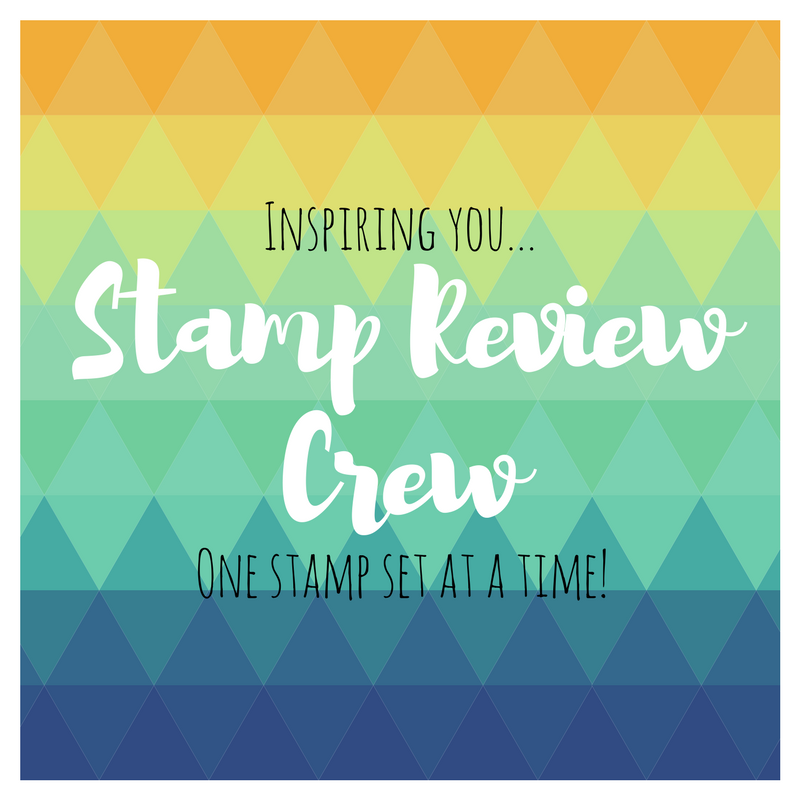 I found this Challenge lot's of fun, especially sorting through my stamps to find something appropriate, it's funny how we forget how many gorgeous stamps we collect......always good to re-discover those, nearly as much fun as going shopping! Anyway, here's my creation and l must say I'm very excited with the versatility of this cute little set! Lot's of layered punches and Die cuts and some sparkle to finish it off! Don't forget to check out the awesomeness the rest of the JAI girls have for you this week and hopefully you can find the time and creativeness to join us. "Thanks for popping in" & enjoy your weekend! 1-3/4" Circle- Jewelery tag & Scallop ribbon border Punches. This week our Challenge over at Just Add Ink is an awesome SKETCH from Bronwyn, l had a lightbulb moment as soon as l saw it and as Bron had provided the sketch and is the Master of "Easel Cards" it is fitting that this became an Easel also! Here's my Christmas version of the Sketch, l figured as l have been... Oh So slack, with the posting of Christmas projects that l would at least try to combine some JAI projects and maybe inspire myself...lol! 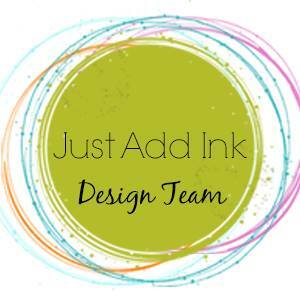 The rest of DT at JAI have come up with some amazing projects for you, so pop over and take a peek if you haven't already, hopefully you will join in the fun with this weeks challenge. "Thanks for stopping by" & have a great weekend! I love these colours together and new exactly what l wanted to do with them, l have seen so many variations of whirligigs/pinwheels around lately and thought they would be perfect for such lovely summery colours. I love the fun whimsical feel of this one & l was surprised at how quick it was to put together & l am in love with the new glimmer brads too, the colours are really pretty! Have you seen the gorgeous inspiration the Just Add Ink girls have for you this week?...hopefully you will be inspired to play along, we love to see your take on the challenges each week. Tripple Treat Flower.....Just for fun! Another CAS card today, made with a single stamp called Triple Treat Flower stamped in Lucky Limeade & Pool Party inks, l love that this stamp co-ordinates with XL Flower punch and the 5 Petal flower punch. I used the Houndstooth Embossing Folder to add some texture to the Lucky Limeade DSP and lightly sanded it for a distressed effect. 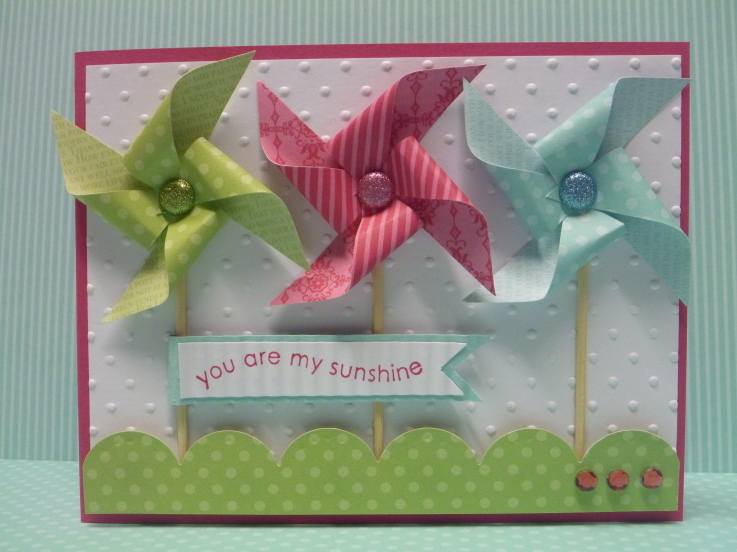 The greeting is from the Word Play set, stamped in Lucky Limeade on Confetti white Cardstock. To finish it off l added some of the lovely ruffled Ribbon in Pool Party and some Basic Pearls coloured with co-ordinating permanent markers. Do you like my attempt at an artistic display...lol, I love the colour combination, inspired by Stampin-Ups awesome "Spice Cake" DSP and it was fun to use felt for the leaves and add some extra texture. It's hard to see in the pic's, but the flower and butterfly have both been misted with Champagne shimmer paint, l layered multiple Doily punches on a 2-1/2" circle to form the base for attaching the rest of the elements, l like that it looks like a giant size doily. The flower was Die cut from the Blossom Party and Daisies #2 Dies, using So Saffron cardstock inked with More Mustard and secured with a Vintage Brad. 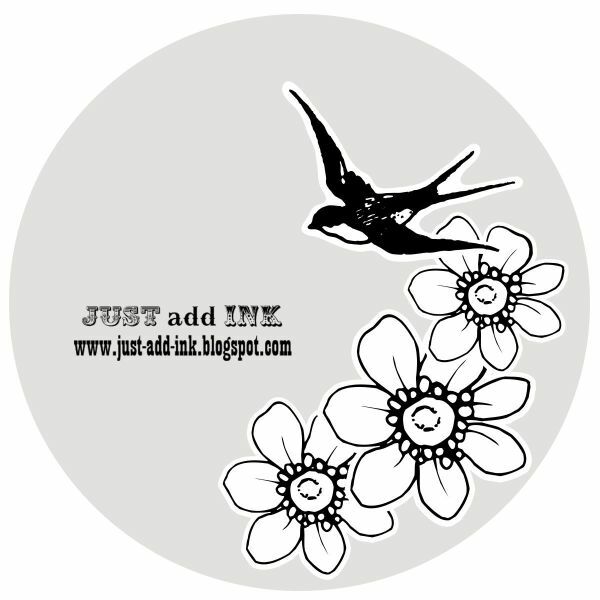 The rest of the DT at Just Add Ink have some gorgeous inspiration for you, so pop over and take a peek if you haven't already and hopefully we have inspired you to join in with this weeks challenge and look forward to seeing your entries. 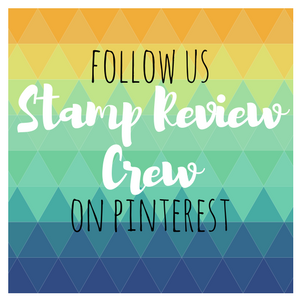 All products are Stampin-Up with the exception of the felt.